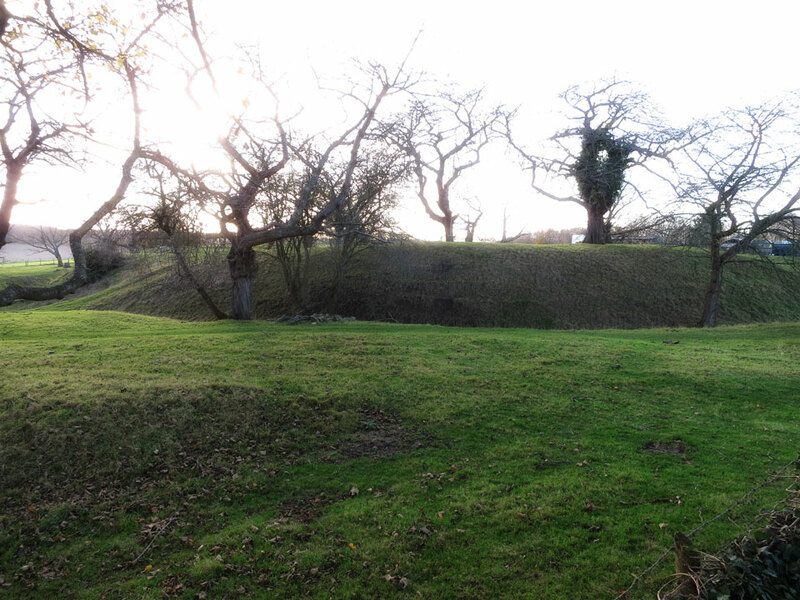 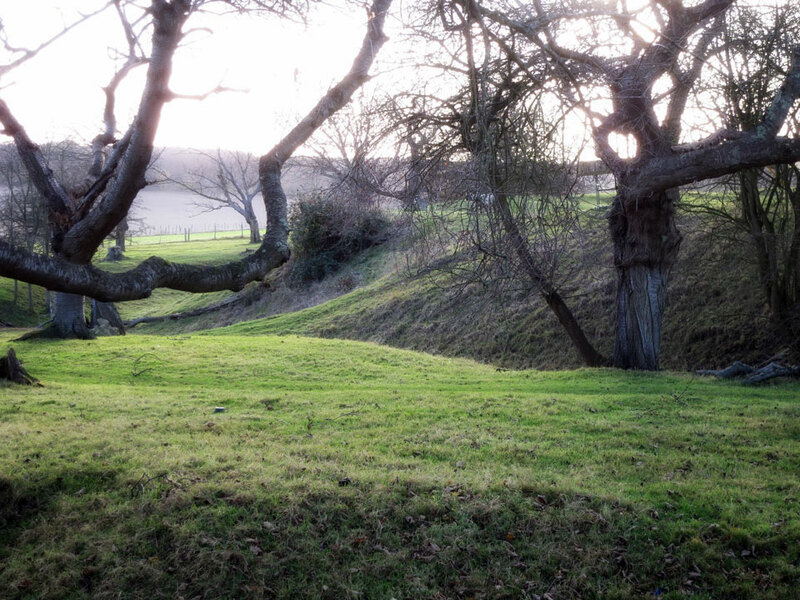 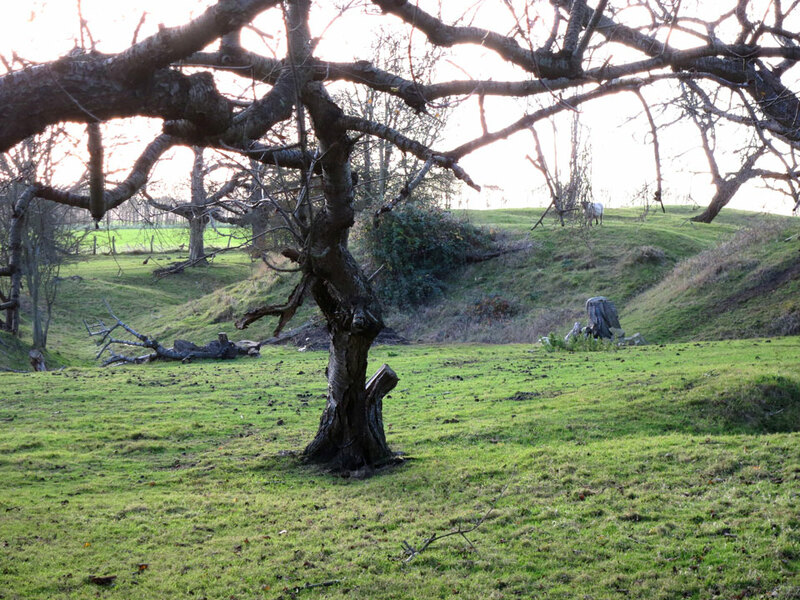 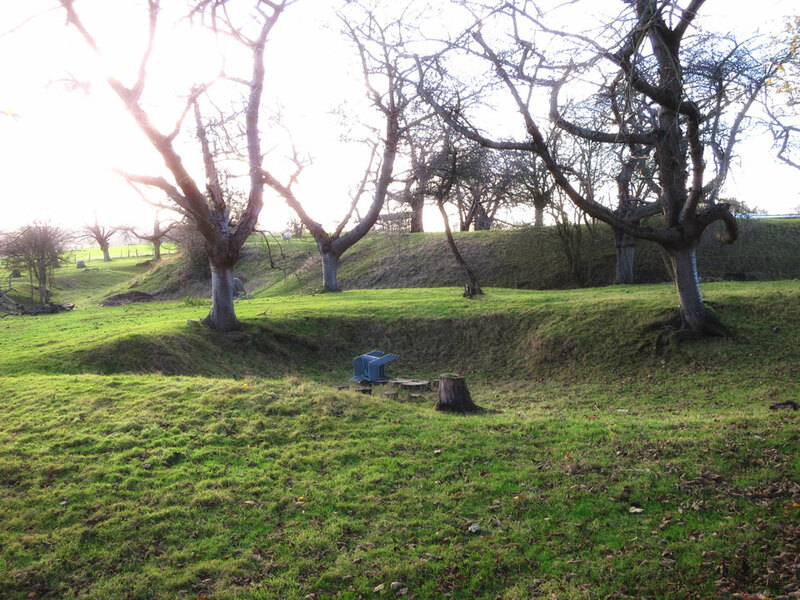 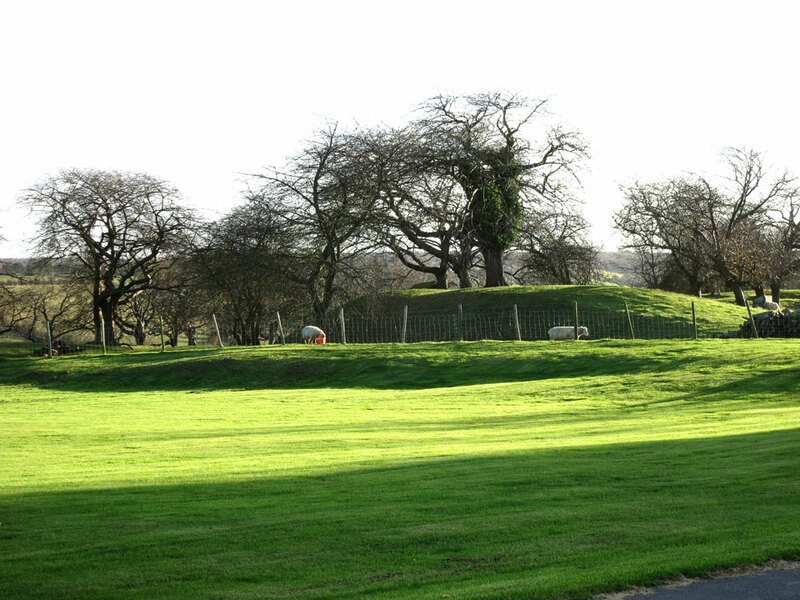 The earthworks of a motte and bailey are in good condition on top of the hill in a field behind the church. 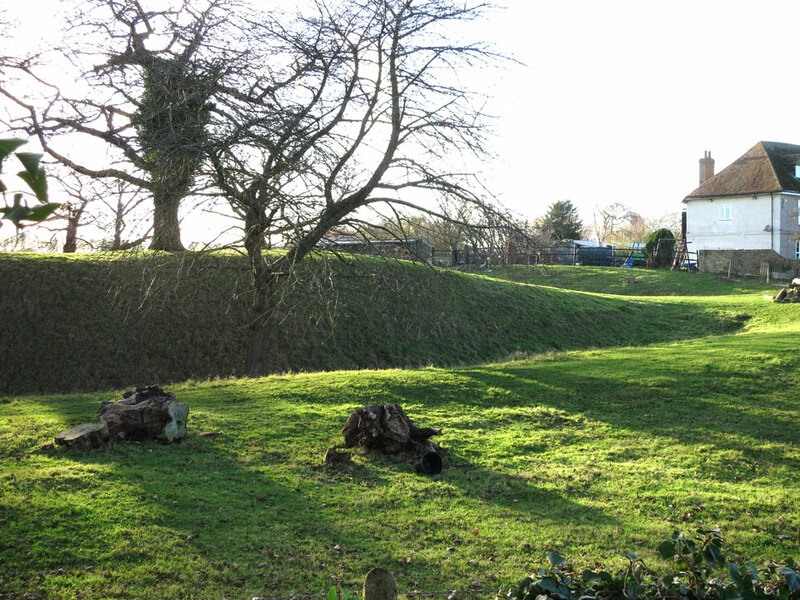 It formed part of the defences of the valley with the castles of Binbury and Thurnham. 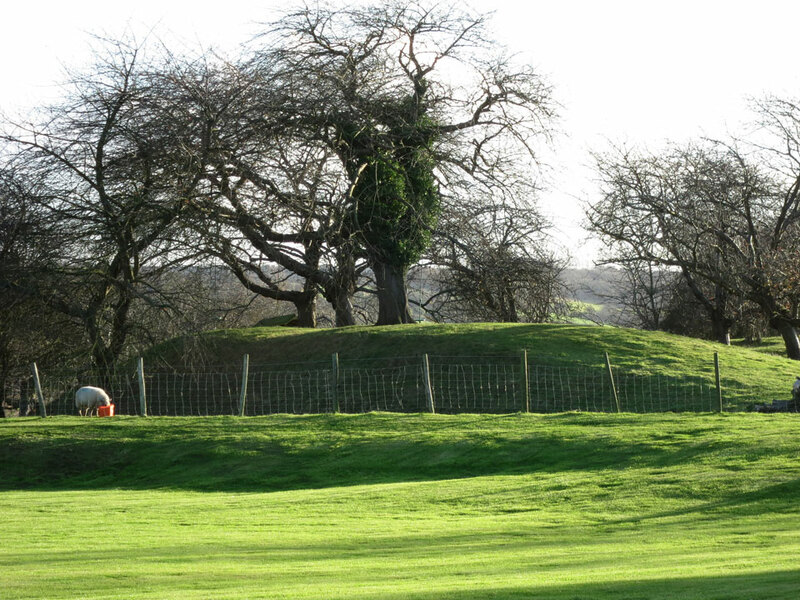 After 1460 the castle was allowed to fall into ruin.